By including lemons in your diet and lifestyle, you are sure to feel so alert, refreshed, attractive and all-around healthy that you would never leave them. For a healthy body, skin and hair lemon is a miraculous citrus fruit. By including lemons in your diet and lifestyle, you are sure to feel so alert, refreshed, attractive and all-around healthy that you would never leave them. Certainly, lemons boost health and well-being in several ways. Here are some possible benefits of consuming lemons. Healthy digestion: Lemons are an important source of pectin fiber. It is necessary for good colon health. So consuming lemon everyday activates digestive system and eliminates accumulated waste for the previous day. Rebalances the electrolytes: Adding a few slices of lemon to a glass of water and consuming it will speed up the process of rebalancing the electrolytes in your body. Lemon infused water is highly efficient to treat dehydration. Boosts eye health: Lemons are packed full of vitamin C and antioxidants which work together to form protective effect against cataracts and macular degeneration. Detoxifies body: Lemon consumption flushes out toxins from the body by enhancing enzyme function. The citric acid found in lemons helps dispel harmful bacteria. It can help your liver function inhale and hearty condition. High in potassium: Potassium is the third most abundant mineral in the human body. Lemons are high in this essential mineral and thus help ensure optimal heart, brain, kidney and muscular function. Helps in iron absorption: Squeezing a bit of lemon juice over legumes, salads and vegetables, helps boosting the absorption of iron by the body. 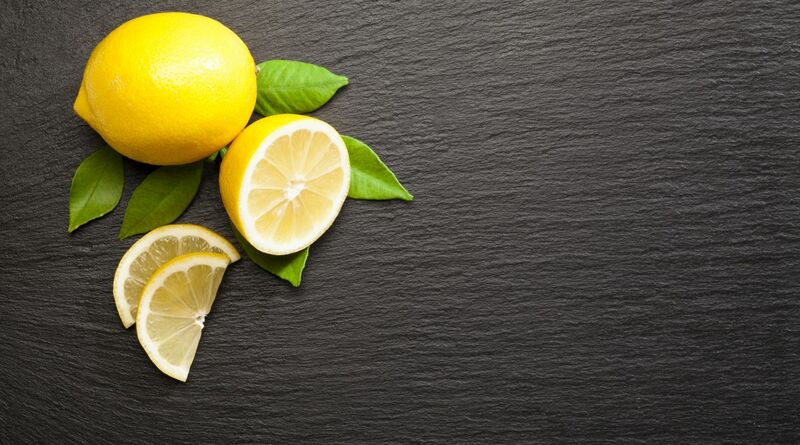 Body immunity: Due to the high concentration of vitamin C in lemon, it is an undisputed defender against viral infections and immune system weaknesses. Those who consume one lemon every day, experience less colds with a significantly shorter duration than those who do not. Reduces inflammation: Lemon consumption decreases body’s activity levels, which in turn assists your body in removing harmful uric acid which can cause inflammation. Chronic inflammation is a key factor responsible for many serious diseases and has been linked to excess acidity in the body. So consume a lemon daily to keep acidity and thus inflammation at bay. Prevents asthma: Regular consumption of lemon can prevent asthma due to the presence of a high amount of vitamin C in it. Protects against cancer: Being a citrus fruit, lemon is a good source of flavonoids, which are thought to help protect against cancer. It is an excellent source of antioxidant – vitamin C, that may prevent the formation of free radicals that are known to cause cancer. Helps reduce cardiovascular disease: Vitamin C intake is associated with reduced stroke risk. Flavonoids present in lemon provide protection to the heart through several mechanisms, including improved blood vessel function and an anti-inflammatory effect. Boosts metabolism: If you are looking to lose weight by making healthy changes in your diet, lemon is the perfect accompaniment. It helps increase metabolism and because of its pectin fiber, it reduces hunger cravings. Teeth whitener: Mix lemon juice with baking soda and use this mixture to scrub your teeth with your toothbrush, then rinse. It is the cheapest way to make your teeth shiny white. Lip exfoliator: Apply lemon juice on your lips before bedtime. Rinse off in the morning. It will help remove dead skin cells and dried skin. But do not try this remedy if you already have chapped lips that have cuts. Provides healthy hair: Lemon is a rich source of vitamin C. applying lemon juice on scalp strengthens hair follicles thereby reducing hair fall. It makes hair long, beautiful and strong. Lemon contains a compound called ‘Limonene’ which adds life to dull and frizzy hair. Treats dandruff: Apply lemon juice to your scalp liberally. Leave for 10 minutes then rinse off. Due to anti-fungal properties of lemon, this remedy can help treat dry scalp, dandruff and other scalp fungal infections. Provides beautiful skin: Vitamin C in lemon plays a vital role in the formation of collagen, the support system of the skin. Lemon contains powerful antioxidants. When eaten in its natural form or applying its juice on your skin can decrease blemishes, wrinkles, acne marks and skin damage caused by sun and pollution. It can reduce wrinkles and improve overall skin texture. When used over time, it can reduce excess oil in the skin and brighten and lighten it. Lemon’s rich nutritional value makes it a superior solution to a host of health and beauty problems. They are packed with citric acid, calcium, magnesium, phosphorus, vitamin C, vitamin B, folic acid, pectin and flavonoids. Lemon is so blessed with natural healing properties that no part of it should go waste. Pick lemons at their peak ripeness. They do not ripen after being plucked, unlike many other fruits. They should be stored at room temperature away from direct sunlight. Lemons have many widely known uses, adding a refreshing zest to your drinks, cleaning households and above all providing an array of health doles.